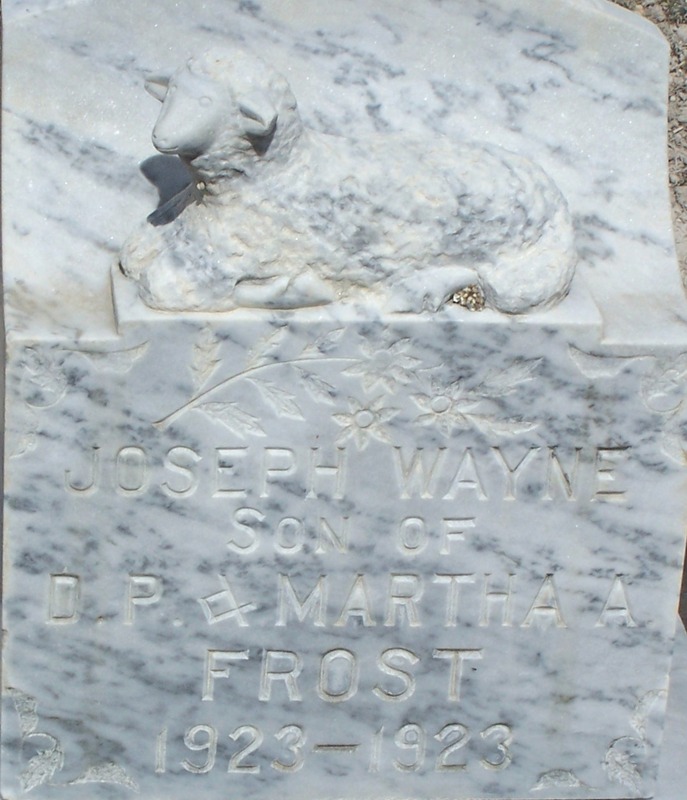 Joseph Wayne Frost a son of David Price and Martha Ann Burton Frost was born October 6, 1923 in Lucin, Box Elder County, Utah. His brothers and sister are: Price Burton, Edward Preston, David Grant, Martha Norma and Willard Holmes. He died on October 6, 1923 of respiratory problems and is buried in the Grouse Creek Cemetery.